The slides for the March 26, 2019 School Certifying Official Webinar are now available. From March 25 to May 15 we are accepting new Yellow Ribbon Program agreements, modifications to existing open-ended agreements, or agreements to withdraw from participation. See our Yellow Ribbon Program Schools’ web page for instructions and forms. Education Service is pleased to announce the updated release of the School Certifying Official Handbook. The Handbook has been revised to include new information pertaining to Graduate Level Training (pages 55 and 56) and determining Non-Standard Terms Graduate Training updates (pages 62 and 63). Join us on Tuesday, March 26 at 2pm EST for the FY 2019 2nd Quarter VBA EDU Quarterly Webinar. Get a quick overview of Adobe Connect here. The tuition and fee, Monthly Housing Allowance, and distance learning rates under the Post-9/11 GI Bill for academic year 2019-2020 are now available on our Rate Tables Page. Join us on Wednesday, January 23 at 1pm EST. The purpose of the webinar is explain provisions to the Colmery Act and how it impacts you. See our schedule for upcoming webinars. Join us on Wednesday, January 23 at 2pm EST. The purpose of this webinar is to inform the SCOs about provisions to the Colmery Act and how these changes will impact their duties. See our schedule for upcoming webinars. The slides for the January 16, 2019 School Certifying Official Webinar are now available. See our schedule for upcoming webinars. The slides for the January 16, 2019 Veterans and Dependents Webinar are now available. See our schedule for upcoming webinars. Join us on Thursday, January 16 at 1pm EST. The purpose of the webinar is explain provisions to the Colmery Act and how it impacts you. See our schedule for upcoming webinars. Join us on Thursday, January 16 at 2pm EST. The purpose of this webinar is to inform the SCOs about provisions to the Colmery Act and how these changes will impact their duties. See our schedule for upcoming webinars. The slides for the January 9, 2019 School Certifying Official Webinar are now available. Also see the link for upcoming webinars. The slides for the January 9, 2019 Veterans and Dependents Webinar are now available. Also see the link for upcoming webinars. Join us on Thursday, January 9 at 2pm EST. The purpose of this webinar is to inform the SCOs about provisions to the Colmery Act and how these changes will impact their duties. See our schedule for upcoming webinars. Join us on Thursday, January 9 at 1pm EST. The purpose of the webinar is explain provisions to the Colmery Act and how it impacts you. See our schedule for upcoming webinars. Join us on Thursday, January 3 at 2pm EST. The purpose of this webinar is to inform the SCOs about provisions to the Colmery Act and how these changes will impact their duties. Join us on Thursday, January 3 at 1pm EST. The purpose of the webinar is explain provisions to the Colmery Act and how it impacts you. The transcript of the December 18, 2018 Education Service Webinar is now available. VA is aware of the recent announcement by Vatterott College that its operations were discontinued effective December 17, 2018. See their letter informing students of closure. VA is working closely with the State Approving Agencies on this developing situation. Please see our website for additional information for options in restoring benefits. Join us on Tuesday, December 18 at 2pm EST. The purpose of this webinar is to inform the SCOs about changes to Section 501 and 107 of the Colmery Act and how these changes will impact their duties. Join us on Tuesday, December 18 at 1pm EST. The purpose of the webinar is to provide an update about the changes to section 501 and 107 of the Colmery Act and how it impacts you. Join us on Monday, December 17 at 1pm EST. The purpose of the webinar is to provide an update about the changes to section 501 and 107 of the Colmery Act and how it impacts you. VA is aware of the abrupt closure of facilities associated with Education Corporation of America (ECA), which operated several chains of schools, to include Virginia College, Brightwood College, Golf Academy of America and Ecotech Institute, throughout the nation. VA is coordinating with the various State Approving Agencies (SAA) and is in the process of gathering the specific details surrounding this closure. VA reaches out to every student in attendance at institutions that close to advise them of their options and potential for having their benefits restored and will do so within 5-days once it has received official notices from its SAA partners. Until specifics can be provided about each school location in question, please see information regarding benefit restoration at closed institutions. See our Press Release discussing resolutions for the implementation of Harry W. Colmery Act sections 107 and 501, which pertain to how housing allowance payments are calculated. Join us on December 5 for the 1st Quarter School Certifying Officials' Webinar. We continue to experience a high pending claims inventory which is causing continuing processing delays for some GI Bill students. We apologize for these delays, and want to assure you we are doing everything in our power to reduce the pending workload, address the oldest claims, and continue to test the housing payment IT modifications required for the Colmery Act. As of October 24, our pending work is continuing to go down, and we are maintaining our focus on the oldest items. As we get reports of hardship situations we are addressing those immediately. a beneficiary is in danger of receiving collection notices from creditors. Education Service continues to experience a higher than normal pending claims inventory which is causing processing and payment delays for some GI Bill students. We apologize for these delays, and want to assure you we are doing everything in our power to reduce the pending workload and address the oldest claims. As of October 24, our pending work is continuing to go down, and we are maintaining our focus on the oldest items. If you are experiencing a financial hardship due to a delay in GI Bill payments, please contact the Education Call Center at 1-888-442-4551 between 7 a.m. - 6 p.m. Central Time, Monday-Friday or contact us through the GI Bill website. We have been asked what Education Service considers to be a hardship case. Examples of a financial hardship due to a delay in GI Bill payments include, but are not limited to: you are in danger of losing your housing or; you are in danger of having utilities turned off or; you are in danger of receiving collection notices from creditors. We regret that these delays are occurring and the impact they may have on you and your family. We are working to make sure you are paid as soon as possible and will continue to update you on our progress. Although processing times in the fall are longer than other seasons, wait times this year are longer than usual. Knowing this may have caused you a financial hardship, please let us know by contacting us via the GI Bill website at https://gibill.custhelp.va.gov/app/utils/login_form/redirect/ask. As you are aware from our previous notices to you, the Department of Veterans Affairs (VA) is experiencing some delays in processing payments for our beneficiaries and their educational institutions. This is due to several IT-related issues and the fall peak enrollment season. While the pending inventory is trending downward, we anticipate a high pending claim inventory through the end of this year. We sincerely regret these delays, and are doing everything possible to restore the timeliness you have come to rely on. We are reaching out to you to ask for your assistance to ensure that GI Bill students are not penalized if the school has not received tuition and fee payments due them from VA. Late payments are likely due to VA processing delays and certainly are not the fault of the student. We ask for your patience as we work to resolve the ongoing challenges. If your school is waiting for tuition and fee payments for GI Bill students, we respectfully urge you to continue to work with the students so they may continue their academic pursuits. Please share this with any other offices at your institution as you deem appropriate. If you have questions concerning the status of an enrollment you submitted, please contact our School Certifying Official inquiry phone number. If you do not have the number, please contact your Education Liaison Representative for it. For updates on the average time it will take us to process enrollments, please go to the GI Bill website at https://www.benefits.va.gov/gibill/. As of today, on average, it is taking about 35 days to work first-time applications for education benefits and 17 days for supplemental claims. A supplemental claim is often a re-enrollment or other change that impacts your benefit. The transcript of the August 28, 2018 Education Service Webinar is now available. The Post-9/11 GI Bill Yellow Ribbon Program 2018 - 2019 list of participating schools and rates is now available. The transcript of the July 31, 2018 Education Service Webinar is now available. Join us on July 26 or August 9 at 2pm ET. The schedule for School Certifying Officials is here. The updated transcript of the July 12, 2018 Education Service Webinar is now available including answers to unanswered questions asked during the Webinar. Effective 7/20/19, eligibility to transfer benefits will be limited to sevicemembers with less than 16 years of active duty or selected reserve service. Contact your military branch representative with any questions. See DoD's announcement. The transcript of the July 17, 2018 Education Service Webinar is now available. The Colmery Act brings significant changes to your education benefits, many that go into effect August 1. The law affects your monthly housing allowance, allows additional Reserve time to be credited towards Post-9/11 GI Bill, allows additional months of entitlement for STEM programs, and a lot more. Find out what’s changing by joining us for our first of three informational online webinars on July 12, 2018, @ 2pm ET. The audio is only accessible by dialing 1-800-767-1750 then entering 25803# when prompted. The transcript of the June 12, 2018 Education Service Webinar is now available. March 15 to May 15 was the open season for the Yellow Ribbon Program for the 2018-19 academic year. Please see the Yellow Ribbon Program home page for more information. The updated transcript of the March 14, 2018 Education Service Webinar is now available including answers to unanswered questions asked during the Webinar. As part of the Harry W. Colmery Veterans Educational Assistance Act of 2017, also known as the “Forever GI Bill (FGIB),” Section 107 of the law requires VA to calculate monthly housing payments based on the location of the campus where a student attends the majority of their classes. If you are a student Veteran, please keep in mind your campus’s zip code may affect your payment amount. A “campus” may include internships, externships, training, practicums, etc. VA is working with your School Certifying Officials to implement this change and ensure you receive your monthly housing payment. Students can expect to see changes in their monthly housing allowance after August 1, 2018. From March 15 to May 15, 2018, we are accepting new Yellow Ribbon Program agreements, modifications to existing open-ended agreements, or agreements to withdraw from participation. See our Yellow Ribbon Program Schools’ web page for instructions and forms. The transcript of the March 14, 2018 Education Service Webinar is now available. Missed our Facebook Live event discussing the Forever GI Bill (Colmery Act)? Catch the video here - Colmery Act FB Live Video. Find out if the Colmery Act (also known as the Forever GI Bill) impacts you by joining us for the #ExploreVA Facebook Live event with National Military Family Association. Ashford’s online programs are not fully compliant with GI Bill approval requirements; namely, its online programs must be approved by the state in which its main campus is located. The evidence available to VA strongly indicates that Ashford’s main campus is in California, but Ashford has not yet obtained approval from California as is required by law. Consequently, on November 9, 2017, VA notified Ashford that they must take steps to correct this problem, or VA will no longer be able to legally pay you benefits based on attending Ashford. However, as part of a plan to resolve the situation, we informed you that VA would continue to make payments to students attending Ashford until January 9, 2018, to give Ashford additional time to seek compliance with GI Bill approval requirements under the law. Also, as part of this same plan, Ashford agreed to apply to California by January 8, 2018, for approval of its online courses. I am pleased to report that Ashford applied to California on January 5, 2018. Therefore, at this point in time, VA will continue to pay benefits as long as Ashford continues to make a good faith effort to seek approval in California. It is important to understand that if at any time VA determines that Ashford is no longer making a good faith effort to gain approval in California, VA may be forced to stop making benefit payments. As VA has always maintained, approval by California would resolve VA’s concerns and allow uninterrupted benefits for students attending Ashford. Our aim in taking this action is to protect your GI Bill benefits and to comply with the law, but we understand that this decision may cause disruption and hardship to students using their GI Bill benefits at Ashford. We have not taken corrective action against Ashford lightly, and are committed to help you avoid or mitigate any negative consequences that may result. Our online GI Bill Comparison Tool (https://www.vets.gov/gi-bill-comparison-tool) is an ideal tool to help you review and evaluate alternatives to Ashford. Furthermore, we will continue to notify you of any updates during this process, and our Education Call Center is standing-by to answer any questions you may have and can be reached at 1-888-442-4551 (Monday - Friday, 7 a.m. - 6 p.m. CST). The updated transcript of the November 29, 2017 Education Service Webinar is now available including answers to unanswered questions asked during the Webinar. The transcript of the November 29, 2017 Education Service Webinar is now available. Forever GI Bill. “Forever” Explained. Twitter Q&A for Harry W. Colmery Educational Assistance Act of 2017, also known as the “Forever GI Bill"
The updated transcript of the September 27, 2017 Education Service Webinar is now available including answers to unanswered questions asked during the Webinar. Your Benefits Now - Harry W. Colmery Educational Assistance Act of 2017, also known as the “Forever GI Bill"
See our latest communication on the Colmery Act and what is available to you right now. With hurricane season in full swing we want to remind you of our guidance for students affected. We have created an FAQ specfically for this purpose. The transcript of the September 27, 2017 Education Service Webinar is now available. We will be answering some of the unanswered questions and including them in an updated version of the presentation. If your school is, or was, temporarily closed due to a hurricane, VA will consider your attendance as continuous and your payment will not be affected. As long as the enrollment was submitted prior to the incident, no further action is necessary to receive continued payment. Should continue to verify their attendance until further notice as if the school did not close, doing this will ensure that payment is not affected. Students may verify their attendance, using the WAVE website or by calling 1-877-VACERT. Please contact our Education Call Center at 1-888-442-4551 (Monday – Friday, 7 a.m. – 6 p.m. CST) for any questions about your GI Bill benefits. If you’re unable to contact us by phone you can send us a secure inquiry at Right Now Web and place “Hurricane” in the subject line. Please note: If the school remains open, but the student is unable to attend (i.e., if the student has to relocate as a result of the natural disaster), VA is unable to continue payment to a student. When the student is no longer pursuing classes, the school must report the termination to VA as soon as possible. "VONAPP"our online education benefit application is officially retired. VONAPP was a fillable online VA form. We now have a user interface that guides you through the application process, much like tax preparation software does. The third quarter School Certifying Official Webinar will be September 27. A link will be sent to the participants prior to the event. The President signed into law the “Harry W. Colmery Veterans Educational Assistance Act,” also known as the “Forever GI Bill,” which will bring significant changes to Veterans' education benefits. The law is named after the American Legion national commander who wrote the original GI Bill language in 1944, and will allow more of you to use the GI Bill and more time to use it. For more information, check out the GI Bill Facebook, navigate to our webpage, or and read the Forever GI Bill law on Congress.gov, here. BLUF (Bottom Line Up Front): You can continue to attend Ashford beyond August 16th. Quick recap on the background: Based on changes to Ashford’s resident programs last year, Iowa’s SAA, the agency that previously approved Ashford online programs for VA benefits, found Ashford not in compliance with GI Bill approval criteria. This resulted in a court case in which the court, on July 17, 2017, dismissed Ashford’s petition to remain eligible for GI Bill participation. On August 1, 2017, Ashford filed a motion for reconsideration of the July 17th ruling with the IA District Court. VA would not be able to pay benefits after Aug 16, 2017 unless Ashford took additional legal action. Ashford’s motion for reconsideration will delay the Aug 16th cutoff date. This means that if you are enrolled in classes at Ashford, you will continue to receive benefits for classes starting beyond Aug 16, 2017 while the Court considers Ashford’s motion. As further developments occur regarding this litigation, we will keep you updated. I understand you may be frustrated with the back and forth of all of this. Our intent is to ensure you are informed as all of this proceeds. Your decision to continue at Ashford or to change schools is a personal one. We are committed to updating you on each development not to add to your frustration or angst, but to give you the latest information to make the decisions you need to make to pursue your educational goals. - Several of our Veterans Service Organization partners and Veteran community advocates can help with your decisions, answer questions, and have financial programs that can help; among them are Veterans of Foreign Wars, American Legion, Student Veterans of America, and Veterans Education Success. - Our online GI Bill Comparison Tool can help you review and evaluate alternatives to Ashford and our Education Call Center is available at 1-888-442-4551 (Monday – Friday, 7 a.m. – 6 p.m. CST) for questions about your benefits and remaining entitlement. You may also securely email questions here. I will continue to stay in touch with any changes so you have the latest information on which to make your educational choices. Please feel free to send this to other Ashford students you may know in case we missed them. Ashford University has been involved in an ongoing court case regarding its GI Bill approval with the Iowa State Approving Agency. A recent ruling from the Iowa District Court dismissed Ashford’s petition and affirmed the withdrawal of Ashford University’s online programs from GI Bill approval by the Iowa State Approving Agency. This means that classes offered by Ashford University can no longer be qualified for VA education benefits. This ruling will become final on August 16, 2017 unless Ashford University appeals the decision and the court delays implementation. What does this mean for your GI Bill benefits? If you are enrolled in classes at Ashford you will continue to receive benefits through the end of any class beginning on or before August 16, 2017. After that you will no longer receive GI Bill benefits, including the monthly housing allowance, for any classes at Ashford University unless Ashford University appeals and a court delays implementation of the current decision. Even if your enrollment for a class starting after August 16th was already submitted to VA, VA will not be able to pay for it. This includes payments under any GI Bill benefit program including the Post-9/11 GI Bill and the Survivors’ and Dependents’ Educational Assistance Program. VA does not have the legal authority to restore any GI Bill benefits you have used to attend Ashford University, even if you are not finished with your program. However, you are free to pursue your education goals at another approved school or training facility. What resources are available to you today? Our GI Bill Comparison Tool can help you review and compare alternatives to Ashford University if you wish to continue your education goals at another institution. If you do, remember that you must transfer to a school approved for the GI Bill to continue receiving VA education benefits, including the monthly housing allowance under the Post-9/11 GI Bill. - You can view our previous emails sent over the past year. - You may qualify for an emergency grant through the Veterans of Foreign Wars Unmet Needs program to assist with interim living expenses. VFW professional staff can also help answer education benefit questions through 1StudentVeteran@vfw.org. - The American Legion has service officers in every state that can provide answers to questions about education benefits, federal student loans and credit transferability. - Student Veterans of America has a network of over 1,400 student chapters at colleges and universities and their staff can provide answers to your questions. - VA’s GI Bill Comparison Tool can help you review and compare alternative schools. - For free legal advice and college choice counseling, visit Veterans Education Success website or email them directly, help@VeteransEducationSuccess.org. Our Education Call Center is available at 1-888-442-4551 (Monday – Friday, 7 a.m. – 6 p.m. CST) for any questions about your GI Bill benefits and remaining entitlement. If you have any other questions you can also write an email to Right Now Web. We understand that this is a difficult situation and have tried to keep all Ashford students informed throughout this entire process. Please tag any Ashford student you may know in the comments below to make sure they are aware of what is going on, and what resources are available to them. The Post-9/11 GI Bill Yellow Ribbon Program 2017 - 2018 list of participating schools and rates is now available. The transcript of the June 7, 2017 Education Service Webinar is now available. We will be answering some of the unanswered questions and including them in an updated version of the presentation. March 15 to May 15 is the open season for the Yellow Ribbon Program for the 2016-17 academic year. Schools may apply for initial participation, modify existing open-ended agreements, take no action and continue to honor the terms of existing open-ended agreements, or withdraw from the Yellow Ribbon Program. Please see the Yellow Ribbon Program home page for more information. See current revisions detailed on page 8 of the School Certifying Official Handbook. We are experiencing some processing delays for certain Veterans and service members primarily, because we initiated a review of previously processed claims. These reviews require a number of inquiries we had to make with DoD service departments for information about individual training dates and service times. We are working with DoD and making every effort to minimize the effect of this review to our GI Bill beneficiaries. If your school is concerned about the status of your tuition payment, or they have any questions, please have your school certifying official call us on the School Certifying Official hotline. For more information, call the GI Bill Hotline at 1-888-442-4551. From March 15 to May 15, 2017 we are accepting new Yellow Ribbon Program agreements, modifications to existing open-ended agreements, or withdrawal from participation. See our Yellow Ribbon Program schools web page for instructions and forms. The updated transcript of the March 1, 2017 Education Service Webinar is now available including answers to unanswered questions asked during the Webinar. As you may know, the maximum amounts for tuition and fees under the Post-9/11 GI Bill change every academic year. For academic year 2017-2018, the maximum annual reimbursement for those attending a private or foreign school increased from $21,970.46 to $22,805.34. Additionally, the monthly housing allowance for those taking online training exclusively (no classroom instruction) increased to $840.50 per month. These increases are effective August 1, 2017 - July 31, 2018. Remember: while BAH rates for DoD personnel are effective in January, GI Bill beneficiaries will not see the change in MHA until Sept (for terms that started on or after Aug 1). More information can be found on our Post-9/11 rates page. The transcript of the March 1, 2017 Education Service Webinar is now available. We will be answering some of the unanswered questions and including them in an updated version of the presentation. A new provision was signed into law in December that extends benefit eligibility for spouses of Servicemembers who died in the line of duty between 9/11/01 and 12/31/05. As a result, these spouses will now be eligible to use their remaining Fry benefits until January 1, 2021. For spouses that elected to use the Survivors and Dependents Educational Assistance benefit instead of Fry, you may be eligible to switch from DEA to Fry. More information can be found in this letter or on our updated Fry Scholarship page. If you have any questions regarding this change, or your eligibility, please call the Education Hotline at 1-888-442-4551. The Department of the Army recently announced that they are now counting Active Duty Training (ADT), Active Duty Special Work (ADSW), and Active Duty Operational Support-Reserve Component (ADOS-RC) performed under section 12301(d) of title 10, United States Code, after September 10, 2001 as qualifying service for the Post-9/11 GI Bill. As a result, certain individuals may gain eligibility for Post-9/11 GI Bill benefits, be eligible to receive additional benefits as a result of a higher eligibility level (%), or establish eligibility for Transfer of Education Benefits (TEB). Army Reserve Soldiers should review their ADT, ADSW, and ADOS-RC in the Reserve Component Manpower System (RCMS) self-service site or contact their Unit Administrator, S-1, or Reserve Personnel Administration Center to ensure that service is reflected accurately. Those impacted will not need to reapply with VA for benefits. Corrections to service should be automatically transferred to VA and reviewed when beneficiary enrollments and/or applications are submitted for processing. As always, contact our Education Call Center at 1-888-442-4551 (Monday – Friday, 7 a.m. – 6 p.m. CST) if you have questions about GI Bill benefits and remaining entitlement. Congress recently passed the Jeff Miller and Richard Blumenthal Veterans Health Care and Benefits Improvement Act of 2016 - this law expanded the coverage of who is eligible for the resident rate at public institutions of higher learning. • Fry Scholarship beneficiaries who live in the state in which the public institute of higher learning (IHL) is located were already covered but now they are no longer required to enroll within three years of the Servicemember’s death, and the Servicemember does not have to have served a minimum of ninety days on active duty. All states and territories are working with VA to comply with the law. 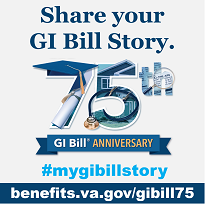 To help with your educational planning and ensure transparency, we have a listing of each state, territory, and district’s status on our website, https://www.benefits.va.gov/gibill/417.asp. This page will be updated regularly so that you can follow any progress and know what is going on in your particular state, territory, district, or school. Education Service is pleased to announce the release of the updated School Certifying Official Handbook. The Handbook has been revised to include additional information and updates suggested by School Certifying Officials through their Education Liaison Representatives. A list of revisions can be found on page 8 of the handbook, which can be accessed and/or printed from the School Training and Information Resources page of the GI Bill website. The proposed dates for the School Certifying Official Webinars for 2017 are as follows:. The Iowa State Approving Agency (IA SAA) determined in May 2016 that they did not have jurisdiction to continue to approve Ashford’s online programs for GI Bill benefits and notified the school of its intent to withdraw approval of those programs. In early August 2016, Ashford filed an amended legal petition to extend approval of their online programs through the Iowa Department of Education until at least June 1, 2017. The Iowa District Court provided a temporary stay to allow time for the court to review the petition and issue a ruling. The stay is still in force. This means you may continue to receive GI Bill benefits for enrolling in classes at Ashford. However, depending upon the judge’s decision, you may not be able to receive GI Bill benefits after a final decision is made. It is important to note that VA is not directly involved in the lawsuit and therefore does not have all the information regarding this ongoing situation. We are unable to predict an outcome but want to make sure that our beneficiaries are aware that there is a risk that Ashford could lose approval for its online programs. Although the ongoing stay gives you additional time to use your benefits, please consider where you are in your educational pursuits and explore possible alternatives in case Ashford loses approval for GI Bill benefits. Unfortunately, VA does not have the legal authority to restore any GI Bill entitlement you have used to attend Ashford University should they lose approval for their online programs. - Our GI Bill Comparison Tool can help you review and compare alternatives to Ashford. - Student Veterans of America is offering assistance to Ashford students. They have a network of over 1,400 student chapters at colleges and universities and their staff can provide answers to your questions. - The American Council on Education’s Military Guide is available for any questions you may have about earning school credit for your service. As always, our Education Call Center is available at 1-888-442-4551 (Monday – Friday, 7 a.m. – 6 p.m. CST) for any questions about your GI Bill benefits and remaining entitlement. You can also join the conversation on our Facebook page or follow us on Twitter. Effective December 28, 2016, based on Dodge City Community College’s continued non-compliance with GI Bill approval requirements, the Kansas Commission on Veterans Affairs, has withdrawn approval for the AAS Flight Instructor Program. This means you can no longer receive GI Bill benefits, including the monthly housing allowance, for continued enrollment in the AAS Flight Instructor Program at Dodge City Community College. This includes payments under any GI Bill benefit program including the Post-9/11 GI Bill and Montgomery GI Bill Active Duty (MGIB)-AD, Chapter 30 Program. VA does not have the legal authority to restore any GI Bill benefits you have used to attend this flight program or to continue monthly benefit payments beyond December 28, 2016. You are, however, free to pursue your education goals at another school or training facility with an approved flight instructor program. I understand this uncertainty creates a difficult situation for you and I wish to assist you as much as possible in continuing your educational path. As you continue your education, you may consider transferring to another institution. In the past, we've published tips on choosing a college. - The U.S. Department of Veterans Affairs' college search engine, "GI Bill College Comparison Tool"
- The U.S. Department of Education has a college search engine called the “College Scorecard,” which has information on school outcomes. - You may be eligible to receive personalized counseling and support through VA’s Education and Career Counseling program to help you identify high-quality and reputable institutions that align with your educational goals. Our Education Call Center is available at 1-888-442-4551 (Monday - Friday, 7 a.m. - 6 p.m. CST) for any questions about your GI Bill benefits and remaining entitlement. You can also join the conversation on our Facebook page or follow us on Twitter @VAVetBenefits. The updated transcript of the November 17, 2016 Education Service Webinar is now available including answers to unanswered questions asked during the Webinar. The U.S. Department of Education (ED) announced on December 12, 2016 its decision to withdraw ACICS’ recognition as a federally recognized agency for several compliance failures, including its failure to provide appropriate consumer protection measures. If they execute new agreements with ED, affected schools can maintain Title IV Federal Student Aid eligibility for a period of up to 18 months. VA may also continue paying education benefits for up to18 months to students attending schools and programs accredited by the Accrediting Council for Independent Colleges and Schools (ACICS), as long as those schools are in good standing with their respective State Approving Agency (SAA). Affected students will receive email updates as information becomes available. Students in need of information about their benefits should contact the Education Call Center at 1-888-442-4551. VA will provide updates on our website and on our GI Bill Facebook page. Recent legislation allows the Department of Veterans Affairs (VA) to continue paying GI Bill benefits for up to 18 months following the withdrawal of recognition of an accrediting agency, as in the case of ACICS, while the school seeks alternate accreditation or program approval. VA is working in close collaboration with the Department of Education to monitor the progress toward accreditation of each school affected by this decision. You should be aware that should your school not achieve new federally-recognized accreditation or receive approval from your State Approving Agency (SAA) as a non-accredited educational institution; the approval to use your benefits at that school may end after no more than 18 months. You may want to consider your education goals and decide whether your current school and program will meet your need for the next 18 months or if you should consider other options, courses, and/or schools. Remember: Even if your school remains approved for GI Bill benefits, it is no longer accredited by a federally recognized accrediting agency. This may affect your ability to transfer credits to another institution, or sit for state licensing exams, as well as other potential impacts. Always keep in mind details such as whether other schools will accept that school’s credits, what kind of accreditation (regional or national) another school has, and whether that school provides you the flexibility you need for your career goals. If you want to learn more about what happens regarding student aid from the Department of Education (Pell Grants, federal student loans, etc.) when ED withdraws federal recognition of an accreditor, please read ED’s blog post, “What College Accreditation Changes Mean for Students”. Who should I contact with questions about my benefits? As always, please feel free to contact our Education Call Center at 1-888-442-4551 (Monday – Friday, 7 a.m. – 6 p.m. CST) for any questions about your GI Bill benefits and remaining entitlement, or join the conversation on our Facebook and Twitter pages. Does VA have tools to help students like me? • Our GI Bill Comparison Tool can help you review and compare alternative schools and programs. • Contact Student Veterans of America. They have a network of over 1,400 student chapters at colleges and universities and their staff can provide answers to your questions. • The Department of Education (ED) has an announcements page with information for student Veterans. • The State Approving Agencies are working with schools to identify those that will accept transfers as appropriate and possible. • There are several Veteran Service Organizations (VSOs) that provide free, professional assistance to veterans and their families. Many organizations have service officers in every state that can provide answers to questions about education benefits, federal student loans and credit transferability. To find a Veteran Service Officer near you click on the following link: https://www.va.gov/vso/. The U.S. Department of Education (ED) issued letters on Dec. 6, 2016, to Globe University and the Minnesota School of Business (MSB) notifying them that ED has denied recertification of each institution’s eligibility to participate in the federal student aid programs. ED took this step after finding that Globe and MSB are ineligible to participate in the federal student aid programs because they have been judicially determined to have committed fraud involving federal student aid funds. In addition, ED determined that Globe and MSB substantially misrepresented the nature of their criminal justice programs and that they substantially misrepresented their students’ ability to transfer credits earned at MSB and Globe to other institutions. This action does not immediately impact your GI Bill benefits; however, these schools are under further review by State Approving Agencies and VA to determine if they should retain GI Bill approval. I understand this uncertainty creates a difficult situation for you, and wish to assist you as much as possible in continuing your educational path. I will stay in touch with any additional developments. The Department of Education has more on the reasons behind Globe University and Minnesota School of Business’ here. We will do all we can to continue to provide information to you on your options. You can seek to get your federal student loans discharged. Depending on your student status and your interactions with Globe and MSB, you may be eligible to have your loans forgiven, cancelled or discharged and may be eligible to be reimbursed for loans you already paid. Here are options that may apply to you. Visit StudentAid.gov/borrower-defense to learn more about the eligibility requirements and how to apply for loan relief. As you continue your education, you may consider transferring to another institution. In the past, we’ve published tips on choosing a college . - The U.S. Department of Veterans Affairs’ college search engine, “GI Bill College Comparison Tool”. - The U.S. Department of Education has college search engine called the “College Scorecard,” which has information on school outcomes. - You may be eligible to receive personalized counseling and support through VA’s Education and Career Counseling program to help you identify high-quality and reputable institution that aligns with your educational goals. - Department of Education also offers personalized counseling and support to eligible veterans through Veterans Upward Bound and Education Opportunity Centers. Our Education Call Center is available at 1-888-442-4551 (Monday – Friday, 7 a.m. – 6 p.m. CST) for any questions about your GI Bill benefits and remaining entitlement. You can also join the conversation on our Facebook page or follow us on Twitter @VAVetBenefits. The transcript of the November 17, 2016 Education Service Webinar is now available. We will be answering some of the unanswered questions and including them in an updated version of the presentation on 12/7. Here are some valuable resources for students impacted by the closure of ITT Tech. Some of these resources, particularly the VSO resources, were discussed on our Facebook Live event on September 22nd. More information can be found below. We want to make you aware of potential resources that may be available to assist you with ITT’s closure. - School Closure Discharge: If you were enrolled when ITT closed or withdrew on or after May 9, 2016, visit StudentAid.gov/closedschool to learn if you meet all of the requirements. - Misleading Information: If your school misled you when you obtained a federal student loan, you may be eligible for what is known as a Borrower Defense Discharge. Visit StudentAid.gov/borrower-defense. - False Certification: If ITT took out a federal student loan in your name without your permission, or registered you for a program that prepared you for an occupation that you could not enter because, for example, you lacked a GED or had been convicted of a felony, you may be eligible to discharge the loans you took for that program. To learn more, visit StudentAid.gov/forgiveness. If you believe you qualify, contact your loan servicer to request a discharge application. Learn more about loan servicers by visiting StudentAid.gov/servicer. Not making enough money to pay your loans? The Education Department offers Income - Driven Repayment Plans to lower your monthly payments based on your income. Learn more by visiting StudentAid.gov/IDR. The U.S. Department of Education recently announced plans to automatically restore semesters of Pell Grant eligibility for students whose institutions closed while they are enrolled. In the coming weeks, the Department will release more details before beginning the restoration process. To learn more about limits on Pell Grant eligibility, visit StudentAid.gov/pell-limit. If you have immediate questions about any of these programs, call 1-800-4FED-AID. As of Tuesday, November 15, Star Career Academy closed, discontinuing instruction at all of their campuses. This means you can no longer receive GI Bill benefits, including the monthly housing allowance, for classes. At this time, VA does not have the legal authority to restore any GI Bill benefits you have used to attend these schools, or to continue monthly benefit payments beyond the date of school closure. You are free to pursue your education goals at another school or training facility. No debts will be created against you because of the school closure. You will only have to repay benefits if you dropped one or more classes prior to the date on which the school closed or enrolled in a future term and were issued a books and supplies stipend for that term. The GI Bill Comparison Tool can help you review and compare alternative schools. As always, our Education Call Center is available at 1-888-442-4551 (Monday – Friday, 7 a.m. – 6 p.m. CST) for questions about your GI Bill benefits, any overpayments, and remaining entitlement. Check Out Our New Choosing A School Guide! The new version includes information about job placement promises vs. reality, descriptions of different types of schools such as non-profit and for-profit schools and options that aren't necessarily a college or university. The strike has ended and classes were scheduled to resume as normal yesterday (Monday). As a reminder, GI Bill benefits will be paid as scheduled. If your school is one of the schools involved, VA will consider your attendance as continuous and your payment will not be affected - assuming your enrollment was submitted prior to the closure. As long as your enrollment was submitted by your school prior to the incident, no further action is necessary to receive continued payment. You should continue to verify your enrollment until further notice as if your school did not close, doing this will ensure that your payment will not be affected. To verify your enrollment, use the WAVE website or call 1-877-VACERT. We are actively monitoring the situation and we post updates on our website. If you have any further questions about your GI Bill benefits, please contact our Education Call Center at 1-888-442-4551 (Monday – Friday, 7 a.m. – 6 p.m. CST). If your school is, or was, temporarily closed due to Hurricane Matthew, VA will consider your attendance as continuous and your payment will not be affected. We’re writing to give you some additional resources available to you. We will continue to look for ways to assist you as you work to overcome ITT’s sudden closure. Knowing that not only are you without a school, but also without the housing allowance to help pay your bills, we recognize this may put you at risk of being unable to stay in your home. If you face the possibility of losing your residence, please contact our National Call Center for Homeless Veterans at 1-877-4AID-VET (877-424-3838), visit the nearest VA Medical Center and ask to speak with someone from the homeless program, or visit va.gov/homeless for information about our Veterans Health Administration’s homeless programs. If you are at imminent risk of homelessness, you may also contact a local Supportive Services for Veterans Families (SSVF) provider. SSVF can provide services and financial assistance if you qualify. Be sure to frequently visit their website for updated announcements. You may also ask for help at your local Regional Office or Vet Center. The locations of both can be found here. This brochure has some further information to help you with your decisions. Our last email also told you about a Facebook Live broadcast to address your questions. We partnered with Student Veterans of America, Veterans of Foreign Wars, and the American Legion to talk about the GI Bill and address your concerns. I encourage you to watch the video on our GI Bill Facebook page and ask any questions about resources in the comments section. As you know by now, our Education Call Center is available at 1-888-442-4551 (Monday – Friday, 7 a.m. – 6 p.m. CST) for questions about your GI Bill benefits, any overpayments, and remaining entitlement. As referenced above, we are answering your questions on our Facebook page or you can follow us on Twitter. You may have seen or heard that the Department of Education has terminated ACICS’s recognition as a nationally accredited agency because of scrutiny from the Department of Education (ED) for allegedly failing to provide consumer protection measures. See affected schools. GI Bill benefits may only be used at higher education institutions that are accredited by a federally recognized accreditor. Fortunately, just this week, the Congress passed and it is expected the President will sign legislation that provides an 18-month grace period for schools to seek accreditation by another federally recognized accreditor. Bottom line – you can continue to attend school using your GI Bill for another 18 months. What happens while my school seeks alternate accreditation? This recent legislation allows the Secretary of Veterans Affairs to continue GI Bill benefits for up to 18 months following the withdrawal of recognition of an accrediting agency such as ACICS. This means you can continue to receive GI Bill benefits for up to 18 months while your school seeks alternate accreditation or program approval. ED recently released a report to the National Advisory Committee on Institutional Quality and Integrity (NACIQI) recommending ED no longer recognize ACICS as an accreditor. NACIQI, a federal advisory committee that reviews all accrediting agencies for federal purposes, reviewed this report and made its own recommendation to end federal recognition of ACICS. ED has reviewed the report and NACIQI recommendations and has made the determination to terminate ACICS’ federal recognition. If ACICS does not appeal to the Secretary of Education, or if the appeal is taken but the Secretary of Education concurs in the Senior Department Official’s negative decision, ACICS will lose federal recognition. There is no time limit for the Secretary to make a decision if an accreditor appeals the decision of the Senior Department Official. During the entire appeal process, ACICS would remain a recognized accrediting body and there would be no impact on Veterans benefits. If you want to learn more about what happens regarding student aid from the Department of Education (Pell Grants, federal student loans, etc.) when ED withdraws federal recognition of an accreditor, please read ED’s blog post, “What College Accreditation Changes Mean for Students” on their website. VA is actively monitoring this situation and has worked with Congress and with the Department of Education, Department of Defense, and the State Approving Agencies to identify solutions that would mitigate disruption in your educational pursuits in the event ACICS loses federal recognition. As always, please feel free to contact our Education Call Center at 1-888-442-4551 (Monday – Friday, 7 a.m. – 6 p.m. CST) for any questions about your GI Bill benefits and remaining entitlement, or join the conversation on our Facebook page and Twitter pages. At this point nothing changes for you for at least the next 18 months. We would, however, suggest you may want to re-evaluate your educational goals and decide that your current school and program will either meet your need for the next 18 months or that you may want to consider other options, courses and/or schools. We would suggest leveraging some of the tools we have developed on the GI Bill website such as CareerScope to help evaluate your interests and aptitudes, our ‘Choosing the Right School’ guide, the brief video ‘Know Before You Go’ and finally our GI Bill Comparison Tool that provides a lot of information on every school approved for the GI Bill. Always keep in mind details such as will other schools accept that school’s credits, what kind of accreditation (regional or national) and does that school provide you the flexibility you need for your career goals. We will continue to stay in touch and send updates as soon as they occur so you can make the choices you need to make with the best information available. As in all situations like this, it is important that you do what is necessary to plan for all possible outcomes. The maximum tuition and fee amounts for the Montgomery GI Bill - Active Duty, Montgomery GI Bill - Selected Reserve, REAP, and Survivors' and Dependents' Educational Assistance Program are now available on the Rate Tables Page. To recap, Ashford University closed their residential campus in Clinton, Iowa, on June 30, 2016. Based on Ashford’s closure, it was determined that the Iowa State Approving Agency (IA SAA) did not have jurisdiction to continue to approve Ashford’s online programs for GI Bill benefits. In early August, Ashford filed an amended legal petition to extend approval of their online programs through the Iowa Department of Education until at least June 1, 2017. The Iowa District Court provided a stay until September 18, 2016 to allow time for the court to review the petition and issue a ruling. A judge has temporarily extended the stay past September 18, 2016 until he issues a final decision, which could happen at any time. This means you may continue to receive GI Bill benefits for any classes that begin on or after September 18, 2016. However, depending upon the judge’s decision, you may not be able to receive GI Bill benefits after a final decision is made. Given the fact that Ashford has not provided any new information showing how they meet regulatory requirements needed to operate in Iowa, there is a high-risk that Ashford could lose approval for their online programs. Although this gives you additional time to use your benefits, please still take the time now to consider where you are in your educational pursuits and how to best move forward. Unfortunately, VA does not have the legal authority to restore any GI Bill entitlement you have used to attend Ashford University should they lose approval for their online programs. Please take advantage of the resources below as you make your decisions. As you are acutely aware by now, ITT has announced that it has discontinued operations at all campuses. We're providing updates on resources available for you to use to re-map your plan to continue your education and otherwise overcome your school’s sudden closure. This is also to let you know that we are listening. Whether it’s your calls to the Education Call Center, comments on the GI Bill Facebook page, or by other means, we are paying attention to you. We are contacting and working with our partners at Veteran Service Organizations, Department of Education, the State Approving Agencies, and others to make you aware of all potential resources that are available to assist you in achieving your educational goals. We will be doing a Facebook Live broadcast in the near future to share information and answer all your questions…more specifics on that to come. As a reminder, VA can no longer pay you your housing allowance until such time as you are enrolled in another GI Bill approved educational institution. You should also be aware that there is the possibility an overpayment was created in your account. If your enrollment was submitted for an upcoming term, you may have already received benefits (books and supplies) for a term you are now unable to complete. If this happened, you will receive a letter from VA explaining actions to take in order to resolve any potential issue. Of Note: If you are a GI Bill user who also has federal student loans, you need to make decisions about what to do next; if you transfer you may not be able to receive a “Closed School Discharge” of your federal student loans. - If you are currently or were recently enrolled at ITT, you may be eligible to have your federal student loans for your program at ITT discharged. Your federal loan debt will be wiped away and you will have the option of restarting your education somewhere new. We will post and update information about how to receive a discharge at our ITT announcements page. GI Bill Comparison Tool can help you review and compare alternatives to ITT. Student Veterans of America have a network of over 1,400 student chapters at colleges and universities and their staff can provide answers to your questions. They have a website specifically for you with contact information. Department of Education (ED) has an announcements page with information on how former ITT students can continue their education, apply for closed school loan discharges, retrieve student records, and more. They will continue to update this information for affected students. ED has several webinars planned – more information on those at the link - and VA will be participating to answer your questions. State Approving Agencies are working with schools to identify those that will accept transfers as appropriate and possible. ITT has a listing of institutions that have expressed an interest in helping students complete their programs of study. This list will be updated daily. We will continue to look for ways to assist you in overcoming this obstacle and we will continue to stay in touch. If you know any students or former students not receiving our emails, please forward this information to them. As always, our Education Call Center is available at 1-888-442-4551 (Monday – Friday, 7 a.m. – 6 p.m. CST) for questions about your GI Bill benefits, any overpayments, and remaining entitlement. You can also join the conversation on our Facebook page or follow us on Twitter @VAVetBenefits. Important Information From Department of Education Regarding ITT Educational Services, Inc. The Department of Education will be holding informational webinars regarding the ITT closure and the way forward. Effective Sep 6, 2016, ITT Technical Institute has discontinued operations at ALL campuses. This means you can no longer receive GI Bill benefits, including the monthly housing allowance, for any future classes at ITT. Even if your enrollment for the upcoming term was already submitted to VA for classes at ITT beginning after the end of the summer quarter, VA cannot pay for it. This includes payments under any GI Bill benefit program including the Post-9/11 GI Bill and the Survivors’ and Dependents’ Educational Assistance Program. VA does not have the legal authority to restore any GI Bill benefits you have used to attend ITT, even if you are not finished with the classes this term. You are, however, free to pursue your education goals at another school or training facility. Our GI Bill Comparison Tool can help you review and compare alternatives to ITT Tech to continue your education goals. You must transfer to a new school approved for the GI Bill to continue receiving VA education benefits, including the monthly housing allowance under the Post-9/11 GI Bill. Our Education Call Center is available at 1-888-442-4551 (Monday – Friday, 7 a.m. – 6 p.m. CST) for any questions about your GI Bill benefits and remaining entitlement. You can also join the conversation on our Facebook page or follow us on Twitter. The Department of Education has more information about ITT’s closure and as Secretary King states, we will do all we can to continue to provide information to you on your options. The California State Approving Agency for Veterans Education (CSAAVE), the agency responsible for the approval of GI Bill benefits in California, has disapproved VA education benefits at all California ITT campuses effective September 1, 2016. This action by CSAAVE means you can no longer receive GI Bill benefits, including the monthly housing allowance, for any class beginning after September 1, 2016. Even if your enrollment was already submitted to VA for classes beginning after that date, VA cannot pay for it. This includes payments under any GI Bill benefit program including the Post-9/11 GI Bill and the Survivors’ and Dependents’ Educational Assistance Program. Unfortunately, VA does not have legal authority to restore GI Bill entitlement you have used to attend ITT Tech. - California is providing guidance to students discharging their federal student loans and can help you obtain transcripts. If you have questions or need additional information, you can call them toll-free at (888) 370-7589 or visit their website at www.bppe.ca.gov. - California encourages Veterans and beneficiaries using the GI Bill at a California ITT campus to visit their website: www.calvet.ca.gov/VetServices/Pages/GI-Bill-Suspension-Information.aspx. Questions about the withdrawal of CSAAVE approval at your campus may be e-mailed to CSAAVE at: csaaveinfo@calvet.ca.gov. - Our GI Bill Comparison Tool can help you review and compare alternatives to ITT Tech. You must transfer to a new school approved for the GI Bill to continue receiving VA education benefits, including the monthly housing allowance under the Post-9/11 GI Bill. Our Education Call Center is available at 1-888-442-4551 (Monday – Friday, 7 a.m. – 6 p.m. CST) for any questions about your GI Bill benefits and remaining entitlement. You can also join the conversation on our Facebook page or follow us on Twitter. This update is based on our current information from California but is subject to change. We will post any new developments here as soon as we receive them. Important Announcement for GI Bill Students Attending ITT Educational Services, Inc. The Department of Education (ED) announced today that they are imposing new and significant requirements on ITT Educational Services, Inc.’s (ITT) continued participation in Title IV, Higher Education Act (HEA) programs (i.e., federal student aid programs such as Pell Grants and Federal Direct Loans) that includes the GI Bill. First, ED has placed ITT on what is known as, Heightened Cash Monitoring 2 (HCM2). It is the highest level of financial monitoring. Under HCM2 the named school will no longer receive Title IV funds from ED in advance. You can learn more about HCM2 and the restrictions it places on a school by visiting ED’s website. Finally, in order for ITT to continue to receive Title IV funds, ED has required a number of reporting and operational requirements, such as restricting campuses from enrolling new Title IV students and requiring ITT to provide “teach-out agreements” – an arrangement that identifies other institutions where students can continue their education programs if that becomes necessary. What is the Impact to GI Bill Benefits? At this point ED’s actions do not directly affect GI Bill benefits. However, these actions do raise significant concerns about the financial viability of ITT. It’s important that students understand that if ITT goes out of business before they complete their education, they will not be able to use their GI Bill benefits to keep attending that school and under this scenario, a student would no longer be able to pursue a course of education at that school. Finding another school where a student can complete his or her educational objectives may take time as not every school offers the same programs as ITT. Also, it is not guaranteed that another school offering the program a student is pursuing will accept transfer credits from ITT. Bottom line, while ED’s actions do not directly affect a student’s ability to use GI Bill benefits at ITT at this time, they should carefully consider the potential impact that ED’s actions may have on whether they can achieve their educational goals by continuing to attend ITT . Please keep in mind that VA cannot restore GI Bill benefits used at ITT if for some reason ITT closes its doors before a student achieves his or her educational goals there. First, VA is actively monitoring this situation and continues to work with ED to assess any further developments regarding ITT and any associated impact on our delivery of GI Bill benefits. Next, we notified current ITT students directly, and reached out to prospective students by placing a caution flag for the affected institution on the GI Bill Comparison Tool. If a prospective student searches for “ITT” today he or she will notice a caution flag for Heightened Cash Monitoring and more. These caution flags are intended to alert potential students of a school’s status and encourage them to carefully consider the school’s status before enrolling in its education program. Technically, a caution flag means VA or other federal agencies like ED or the Department of Defense have applied increased regulatory or legal scrutiny or additional requirements to an education program. As always, GI Bill students are free to contact our Education Call Center at 1-888-442-4551 (Monday – Friday, 7 a.m. – 6 p.m. CST). While we cannot counsel GI Bill students on which school to attend and why, they are encouraged to call with any questions about GI Bill benefits and remaining entitlement. Also, please join the conversation on Facebook and Twitter. A symposium was held in early August to assist with opening the communication lines between government and service organizations, and to enhance the dialogue as to how to best protect the interests of our Veteran students. Meeting minutes can be found here. The updated transcript of the June 2, 2016 Education Service Webinar is now available including answers to unanswered questions asked during the Webinar. The Post-9/11 GI Bill Yellow Ribbon Program 2016 - 2017 list of participating schools and rates is now available. The short answer is the current ‘dilemma is averted for now and our GI Bill students can continue to attend Ashford until the California State Approving Agency makes a decision between now and the middle of September. The longer answer is the Iowa State Approving Agency granted a stay of withdrawal for the next 90 days effective June 20, 2016, which pushes the June 30th withdrawal date to either September 18th, (90 calendar days from the date of the letter), or until the California State Approving Agency (CSAAVE) completes its review and issues a decision regarding the approval of Ashford in California – whichever is soonest. In our last post, we explained what would happen if the California State Approving Agency (CSAAVE) did not approve Ashford’s online programs before June 30, 2016 – that you would be able to finish any class beginning before June 30th but you would not be able to receive GI Bill benefits for classes beginning after that date. The stay of withdrawal pushes the June 30th date to either September 18th, (90 calendar days from the date of the letter), or until the CSAAVE completes its review and issues a decision regarding the approval of Ashford in California – whichever is soonest. - If CSAAVE approves your online program at Ashford, your benefits will not be affected because of the transferal of approval from Iowa to California. - If CSAAVE does not approve your online program at Ashford, you will receive benefits for any classes you are actively attending as of the date of the denial of program approval. This means that benefits may only continue for, in general, a maximum of five weeks for undergraduate classes and six weeks for graduate classes. VA will not be able to pay benefits for any class(es) that begin after the date of the denial of program approval, should that occur. As always, you can call our Education Call Center at 1-888-442-4551 (Monday – Friday, 7 a.m. – 6 p.m. CST) for any questions about your GI Bill benefits and remaining entitlement. You can also join the conversation on Facebook. We continue to stay engaged with the California State Approving Agency (SAA) and Ashford regarding their application for program approval. As of yesterday, Ashford has submitted all the required documents to the California SAA. The California SAA is working hard and expeditiously to go through those documents to ensure due diligence is done and Ashford fully complies with the appropriate laws and regulations. We at VA have offered to provide whatever resources necessary to help the California SAA make an appropriate decision. To reiterate, if Ashford University is not approved by the California SAA by June 30th, you will be able to finish any class you have started before that date and we will continue to process those benefits on your behalf. However, you will not be able to start any new classes after July 1st and use your GI Bill benefits. For example, if you begin a five-week class on June 27th, you will continue to receive GI Bill benefits until the conclusion of that course. If you begin another class on July 2nd, and the California SAA has not approved your program at Ashford for the GI Bill, then you will not receive education benefits for that class. - Our GI Bill Comparison Tool is a good place to start. - Student Veterans of America is offering one-on-one assistance. With a network of over 1,400 student chapters at colleges and universities their staff can provide answers to your questions. You can call our Education Call Center at 1-888-442-4551 (Monday – Friday, 7 a.m. – 6 p.m. CST) for any questions about your GI Bill benefits and remaining entitlement. You can also join the conversation on Facebook. The transcript of the June 2, 2016 Education Service Webinar is now available. We will be answering some of the unanswered questions and including them in an updated version of the presentation. The Iowa State Approving Agency has informed VA that it is withdrawing Ashford University’s approval for GI Bill benefits on June 30, 2016, due to the planned closure of Ashford University's residential campus in Clinton, Iowa. This closure will affect Ashford University’s online courses as well. - Ashford University has applied for approval from the California State Approving Agency, as the university’s main campus is located in San Diego. - If the California State Approving Agency approves Ashford University’s online programs before June 30, your benefits won’t be affected. - If the online programs are not approved before July 1, 2016, you will be able to finish any term beginning before June 30, but you won’t receive benefits (that means housing, tuition, books/supplies stipend) for any future enrollments until the programs are approved by the California State Approving Agency. Ashford University is working with the California State Approving Agency to prevent any disruption in the delivery of benefits to our student Veterans and eligible dependents. We will provide you with updates and approval status of Ashford University’s online programs as additional information becomes available. We will post new information we receive here and on our Facebook page (https://www.facebook.com/gibillEducation). If you have questions, we will answer in the comments, and our Call Center is also available to address your concerns at 1-888-442-4551. March 15 to May 15, 2016 is the open season for the Yellow Ribbon Program for the 2016-17 academic year. Schools may apply for initial participation, modify existing open-ended agreements, take no action and continue to honor the terms of existing open-ended agreements, or withdraw from the Yellow Ribbon Program. Please see the Yellow Ribbon Program home page for more information. The updated transcript of the February 17, 2016 Education Service Webinar is now available including answers to unanswered questions asked during the Webinar. From March 15 to May 15, 2016 we are accepting new Yellow Ribbon Program agreements, modifications to existing open-ended agreements, or withdrawal from participation. See our Yellow Ribbon Program schools web page for instructions and forms. The tuition and fee, Monthly Housing Allowance, and distance learning rates under the Post-9/11 GI Bill for academic year 2016-2017 are now available on our Rate Tables Page. Outcome measures school data can now be accessed directly from the GI Bill Comparison Tool. Search by school to see their reported data or you can click on the “Download Data on All Schools” link while accessing the Comparison Tool. The About this Tool page provides comprehensive “What You Should Know” information about this data to help you choose an education program and school that is right for you. Department of Veterans Affairs, Department of Education, and Department of Defense developed and published these outcome measures which are designed to provide Veteran-specific information on approved programs of education. The transcript of the February 17, 2016 Education Service Webinar is now available. We will be answering some of the unanswered questions and including them in an updated version of the presentation. The Pat Tillman Foundation is pleased to announce the opening of the annual application process for the Tillman Military Scholarship. As a supplement to the Post 9-11 GI Bill, the scholarship covers direct study-related expenses, including tuition and fees, books and living stipend, for eligible service members, veterans or military spouses who are pursuing undergraduate, graduate or post-graduate degrees as full-time students at a public or private, US-based accredited institution. The application for the 2016-2017 academic year will remain open until Tuesday, March 1, 2016 at 11:59:59 EST at http://pattillmanfoundation.org/apply-to-be-a-scholar/. The transcript of the December 14, 2015 IHLs with Contracted Flight Programs Webinar is now available. All states and territories are now compliant with the GI Bill Resident Rate Requirements, Section 702 of the Veterans Access, Choice and Accountability Act of 2014. You can call 1-888-GIBILL-1 (1-888-442-4551) or go to the GI Bill Comparison Tool and research your school to learn more about this program and to see if your school is eligible. The new version includes information about the different types of degrees/programs that you can use with the GI Bill, the importance of school accreditation, and much more valuable information to help you make the right decisions on where to use your hard earned benefits! The updated transcript of the September 16, 2015 Education Service Webinar is now available including answers to unanswered questions asked during the Webinar. Beginning November 15, 2015, VA will require students using the Post-9/11 GI Bill to provide mitigating circumstances when they withdraw from or drop a course after the drop/add period and receive a non-punitive grade. If you've dropped classes after the drop/add period or had to stop attending and received a grade that isn't factored into your Grade Point Average, chances are the term "mitigating circumstances" was mentioned in a letter we sent you. So what are "mitigating circumstances" and why should you care? The recent actions taken by the Department of Defense (DoD) do not have an immediate effect on GI Bill beneficiaries attending University of Phoenix (UoP) schools. GI Bill payments for those enrolled in an approved UoP program are not impacted. VA is working with our DoD and State Approving Agency partners to further evaluate any potential impact to UoP's GI Bill approval and their status as a Principles of Excellence participant. We encourage everyone to use the GI Bill Comparison Tool to compare eligible colleges and universities based on affordability and value. The Department of Veterans Affairs (VA), Department of Education (ED), and Department of Defense (DoD) have developed and published outcome measures that are designed to provide Veteran-specific information on approved programs of education. The transcript of the September 16, 2015 Education Service Webinar is now available. We will be answering some of the unanswered questions and including them in an updated version of the presentation. Are you, or someone you know, about to choose a college? If so, check out the newly revised College Scorecard from the U.S. Department of Education (ED)! President Obama announced ED’s College Scorecard on Saturday. The College Scorecard has been revamped to provide unbiased information to help students make informed college choices. Improvements were made based on direct input from students, their families, and their advisers. Information includes average annual cost, graduation rate, average salary for a graduate, student body demographics, typical debt amount, test scores, and more. Finally, the College Scorecard features our GI Bill Comparison Tool as the official companion tool to research approved GI Bill programs and calculate your benefits! The updated transcript of the June 17, 2015 Education Service Webinar is now available including answers to unanswered questions asked during the Webinar. The new tuition and fee, Monthly Housing Allowance, and distance learning rates for academic year 2015 - 2016 under the Post-9/11 GI Bill are now available on our Rate Tables page. More Information Letters/emails have been sent to a randomly selected group of GI Bill beneficiaries requesting their participation in a survey related to VA education benefits. The first wave of correspondence went out in early July and subsequent surveys will follow. The survey will allow us to identify areas for improvement in regards to our administration of education benefits. For more information please visit our GI Bill Survey website. The Post-9/11 GI Bill Yellow Ribbon Program 2015 – 2016 list of participating schools and rates is now available. The transcript of the June 17, 2015 Education Service Webinar is now available. We will be answering some of the unanswered questions and including them in an updated version of the presentation. The Veterans Access, Choice, and Accountability Act of 2014 changed the way Department of Veterans Affairs (VA) serves Veterans and their families. One section of that legislation requires VA to disapprove programs of education for payment of benefits under the Post-9/11 GI Bill® and the Montgomery GI Bill-Active Duty programs at public institutions of higher learning if a school charges certain individuals tuition and fees in excess of the resident rate for terms beginning after July 1, 2015. VA is working to help states and territories comply with the law. Realizing the impact that a program’s disapproval would have on GI Bill students already enrolled, the Secretary of Veterans Affairs has used his authority to waive the provisions of Section 702 of the Choice Act as to programs that are not in compliance for terms beginning prior to January 1, 2016, allowing additional time for states and territories to make the necessary changes, while making sure Veterans’ education benefits continue uninterrupted. To help with your educational planning and provide transparency, the Secretary of Veterans Affairs has requested that states and territories not already in compliance submit their plans for compliance by June 15, 2015. Please check our Facebook page for status updates. We also encourage you to contact your School Certifying Official for more information regarding your school’s compliance with this new law. As of Monday April 27th, Corinthian Colleges (the parent company for Heald College, Everest College, WyoTech, and Everest College Phoenix) has closed, discontinuing instruction at all of their branches. Campuses closed include Corinthian’s 13 remaining Everest and WyoTech campuses in California, Everest College Phoenix and Everest Online Tempe in Arizona, the Everest Institute in New York, and 150-year-old Heald College–including its 10 locations in California, one in Hawaii and one in Oregon. Everest College and WyoTech campuses that were previously sold to Zenith are not affected by the announcement and will remain open. How will I continue school? Corinthian is attempting to work with other schools to provide continuing educational opportunities for all displaced students. Corinthian will be hosting meetings at their facilities for students to learn about options for continuing their education. I was using GI Bill benefits; will I be responsible for paying any money back? No debts will be created against students because of the school closure. You will only have to repay benefits if you dropped one or more classes prior to the date on which the school closed. What happens to the entitlement I used at this school? Unfortunately, there are no provisions in the law that would allow VA to restore entitlement that has been used attending one of the schools. We will continue to monitor the situation and post updates on this page as appropriate. We advise all students that attended these schools to attend the informational sessions, if possible, to find out more about continuing your education. You may be contacted by a VA representative in the coming days. Information regarding VA's collection of student outcome measures from the former Under Secretary for Benefits, Allison Hickey, was been posted on our School Resources page. Please click here and view the document under "Informational Letters". The transcript of the March 26, 2015 Education Service Webinar is now available online. Click here to view the presentation. We will be answering some of the unanswered questions and will amend the presentation once that is complete. Yellow Ribbon Program Season Now Open! March 15 to May 15, 2015 is the period VA will accept new Yellow Ribbon Program agreements, modifications to existing open-ended agreements, or withdrawal from participation. See the Yellow Ribbon webpage for instructions and forms. The open season for the Yellow Ribbon Program will take place from March 15 through May 15, 2015. Schools may apply for participation, modify existing agreements, or withdraw from the program. More information will be posted at that time on the Yellow Ribbon webpage for schools. A revised version of the School Certifying Official Handbook is available for use. The revisions address the expansion of the Marine Gunnery Sergeant John David Fry Scholarship to eligible surviving spouses and modifications regarding the use of Tuition Assistance for Chapter 1606 and 1607 benefits. Additional information on the revisions may be found on page 7 of the handbook. Access the SCO Handbook by clicking here. The Pat Tillman Foundation is pleased to announce the opening of the annual application process for the Tillman Military Scholarship. As a supplement to the Post 9-11 GI Bill, the scholarship covers direct study-related expenses, including tuition and fees, books and living stipend, for eligible service members, veterans or military spouses who are pursuing undergraduate, graduate or post-graduate degrees as full-time students at a public or private, US-based accredited institution. The application for the 2015-2016 academic year will remain open until Tuesday, March 3, 2015 at 11:59:59 EST at http://pattillmanfoundation.org/apply-to-be-a-scholar/. The transcript of the December 3, 2014 School Certifying Official Webinar is now available online. Click here to view the transcript. VA is accepting applications for the Fry Scholarship from surviving spouses of Servicemembers who died on active duty after September 10, 2001. Review this fact sheet to find out if you may be eligible for this benefit. To apply for the Fry Scholarship, complete this application. Submit your application by mailing the completed form to the Regional Processing Office for the state where your school is located (addresses found here), or by emailing the completed PDF application form through our secure email system. Click here to create an account in our email system. You will be able to use your account to send the PDF application form to a customer service representative for processing. The Fry Scholarship Program will expand to include surviving spouses of those who died in the line of duty after September 10, 2001. Click here for more information. The maximum Tuition & Fee amounts and Monthly Housing Rates for the Post-9/11 GI Bill and the basic monthly rates for the Montgomery GI Bill, REAP, and Survivors' and Dependents' Educational Assistance Program are now available on the Rate Tables page. The “8 Keys to Veterans’ Success” (8 Keys) are a voluntary initiative through the Departments of Veterans Affairs and Education. They highlight specific ways that colleges and universities can support veterans as they pursue their education and employment goals. Click here for the letter from Allison A. Hickey, Under Secretary of Benefits, Department of Veterans Affairs and Ted Mitchell, Under Secretary, Department of Education, encouraging institutions of higher education to affirm support for the 8 Keys to Veterans' Success. The list of schools participating in the Post-9/11 GI Bill Yellow Ribbon Program for the 2014 - 2015 school year is now available. Please click here for more information. Requests for copies of student eligibility documentation, i.e. Certificates of Eligibility, Award Letters, etc. must be made in writing by using the “Submit A Question” feature of our website, through postal mail, or facsimile. No verbal requests for documentation can be accepted for security reasons.